I am going to disclose a bias right up front. 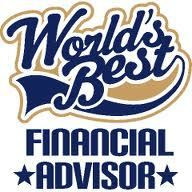 With very few exceptions, I do not recommend selecting a financial advisor from a big Wall Street firm. The companies employ some good financial advisors and financial planners, but it is next to impossible to tell the good guys from the bad guys. What is so bad about the big firms? It is not the advisors I am concerned about; it is the frequently toxic environments that they work in. My biggest concern is that investors are frequently sixth on the priority list after shareholders, directors, executives, managers, and advisors. That is a lot of mouths to feed with investor assets. Plus, we know financial advisors are under constant pressure to increase the amount of revenue they produce from their client relationships. This leads to some shoddy business practices. Many of the best financial advisors leave these firms, they are called breakaway brokers, and they go to work for smaller financial service firms or start their own firms. They believe they have to make this change so they can do what is best for their clients, not shareholders, executives, and managers. Therefore, I believe the best financial advisors work for smaller, independent firms that are a much safer bet when people invest their assets in the securities markets. Why a smaller firm? Ideally, you are being advised by one of the firms’ principals or a senior professional with years of investment experience and other credentials. What is independence? These firms are able to provide advice that is not tainted by any form of pressure from employers or firms that hold the financial advisors’ licenses. For example, they are able to recommend open-architected solutions that do not have any restrictions, including investing all or a significant portion of their assets in products that are manufactured by the advisors’ companies. However, I would not select professionals from just any company. I believe the best financial advisors and the best financial planners are employed by or registered with firms that are RIAs (Registered Investment Advisors). The advisor may be the RIA (owner or partner) or is an IAR (Investment Advisor Representative) who is registered with the RIA. Why are RIAs and IARs the best types of financial advisors? First of all, they are financial fiduciaries which means they are held to the highest ethical standards in the financial services industry. By law, they have to put investor interests ahead of their own. Second, the registrations permit them to provide financial advice for fees. Non-fiduciaries are limited to selling you investment products for commissions.